The Amperis Universal Power Supply (CBUPS) is designed to meet a utility company’s substation needs for an independent AC/DC power source. The CBUPS’ AC and DC voltage sources can each supply up to 10 amperes. The variable DC power supply (10 – 300 Vdc) is ideal for use as a substitute primary power source when substation batteries are not available. The CBUPS is best suited for operating circuit-breakers, powering substation relays, or for un-regulated charging of substation batteries. The AC power supply is a variable isolated power source (10 – 240 Vac) that can be used to power other equipment in the substation. 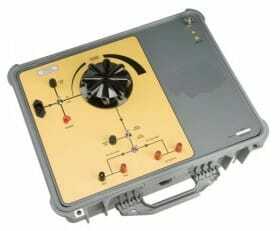 All output power sources are isolated from the primary power input by an isolation transformer. 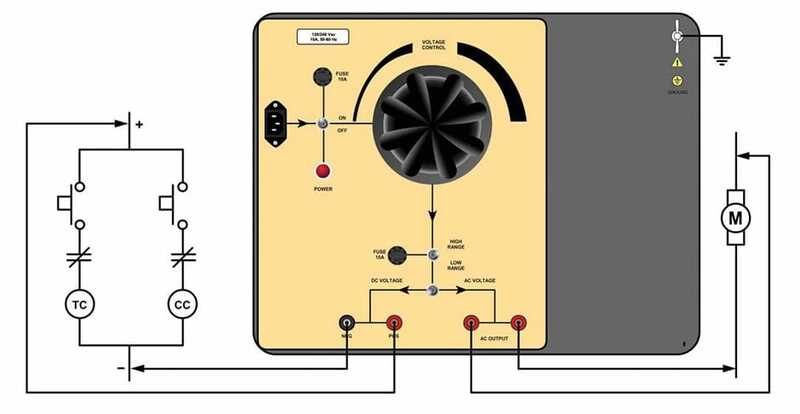 Voltage outputs are variable (auto-transformer) via a front panel control knob. The primary power input is selectable (120Vac or 240Vac). All voltage outputs are capable of supplying a 10 ampere load. For ease of operation, the power output path is clearly outlined on the control panel. This provides an intuitive visual guide for making the appropriate selections for a particular operating configuration. The Universal Power Supply is housed in a heavy-duty, impact-resistant plastic enclosure and is furnished with a power cord, grounding cable, and a pair of test leads with alligator clips.